Friends of the Chicago River has named the winners of the 2018 Chicago River Blue Awards honoring river-sensitive projects that aid in the continuing improvement of the Chicago River system. Presented at Friends’ annual gala, the Big Fish Ball, on Tuesday, June 5, 2018, the awards recognize the work of developers, architects, municipalities, planners and others for their creative and river-sensitive approaches to projects within the Chicago River watershed. Other projects recognized by Friends include Argyle Shared Streets; the Canal Shores Ecological Restoration Master Plan; River Point; the Eugene Field Park Riffle; and Rockwell Taproom and Brewery. Based on a “shared street” design that creates a plaza-like ambiance by raising the street and eliminating curbs, the Argyle project is Chicago’s first effort of this kind. Pavers delineate wide sidewalks at street level, and the project features sidewalk planters, bike racks, and large pedestrian areas that allow for sidewalk cafes. 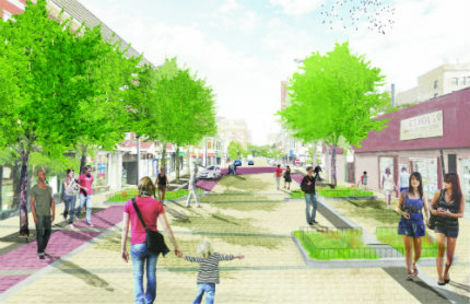 Site Design Group, Ltd. provided landscape architecture and urban design services for the Argyle Street renovation between North Broadway and North Sheridan Road – a corridor in Chicago’s Uptown neighborhood known for its Vietnamese restaurants. 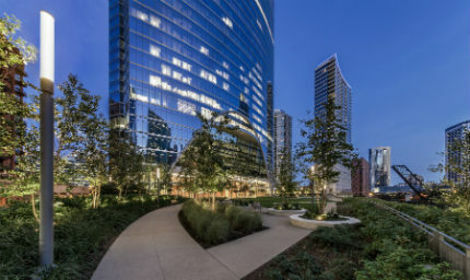 The site was transformed into a two-level, fully accessible amenity and the office tower was set to allow space for a plaza and river walk. 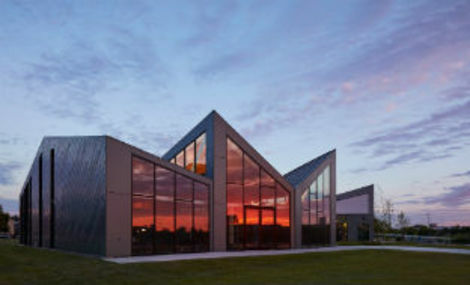 The building’s façade provides riverfront views. 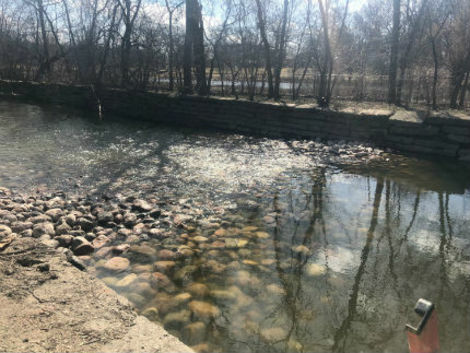 In order to enhance water quality of rain entering the river, a stormwater management system captures rain water and stores it in an underground aggregate bed of stone, recharging the groundwater. Stormwater that does not soak into the ground is released into the river at a controlled rate to prevent flooding impacts. Precipitation is also collected in below grade cisterns and recycled as irrigation water for plantings. Trees and native plantings include grasses, perennials, and evergreen that serve as habitat for insects, birds, and other creatures that call the river home. Additional Project Team Members: The Office of James Burnett, Levy Family Partners, Ivanhoe Cambridge, Pickard Chilton, Kendall / Heaton Associates, Inc. The Eugene Field Park Riffle project entailed inserting two large boulder-and-cobble riffle structures into the river. These large rock formations and riffle pools mimic rapids, add oxygen to water, allow for convenient passing of canoes and kayaks, and provide upstream access to fish. In addition to stabilizing banks upstream of the riffles, these structures also provide critical habitat for macroinvertebrates and fishes. Over time, the bed of the stream behind the riffle will accumulate sand, gravel and other materials to create aquatic habitat. 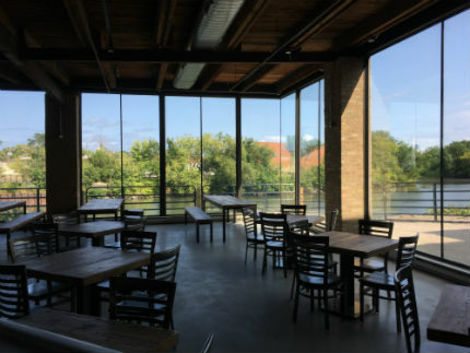 The design of the taproom provides a beautiful view of the Chicago River and its thriving wildlife, with large floor-to-ceiling windows that connect patrons to the environment. Located in a former tannery, the taproom is designed so that customers sit together, shoulder to shoulder, at long tables made of repurposed wood and look out over the river.